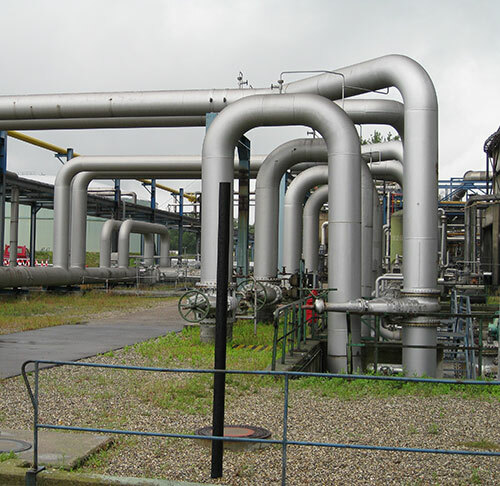 In vacuum plants used in petrochemical industry, vibration problems frequently occur at transfer pipes running from the furnace to the column. The reason for that is the two-phase flow inside the pipe. the next step (based on an operational vibration analysis) comprises determining the positions on the pipe where the vibrations are to be reduced, for example by using hydraulic shock suppressors. The target vibration value is so chosen that, according to experience, the risk for vibration-induced damage is sufficiently low. All investigations and the implementation of control measures are being done during regular plant operation, and no plant shut-down is needed! In the context of operating feed-water pumps, vibration problems can occur in the pipes connected. Possible causes can be found and eliminated by conducting a vibration-related cause analysis. 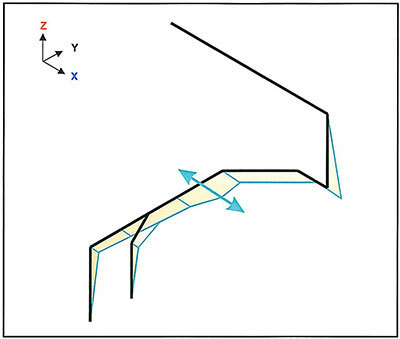 Structural resonances that may occur due to the arrangement of pipe supports can be identified by means of the cause analysis and then eliminated, for example by using additional supports. Defective components such as non-return flaps can cause pressure pulsations in the discharged volume that induce periodic vibration in the pipe system with a high damaging potential. 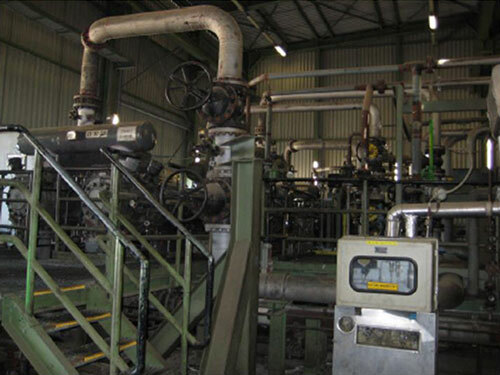 Pipes connected to compressor plants often exhibit high vibration levels. 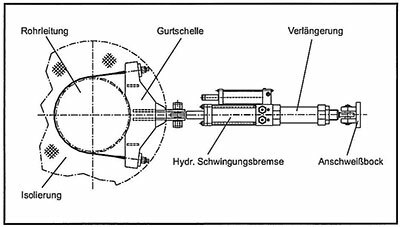 Any pipe system possesses natural frequencies within the flowing fluid (fluidic natural frequencies) because of the geometric dimensions of the pipe system, which may cause resonant vibrations when these natural frequencies coincide with pulsation frequencies of the compressor. Changing the geometric dimensions of the pipe system or using pulsation control measures, which influence the sound reflection situation within the pipe system at the same time, may help here. Structural resonances arising from the mounting situation of the pipe system can be eliminated by means of changes in the arrangement of pipe supports.